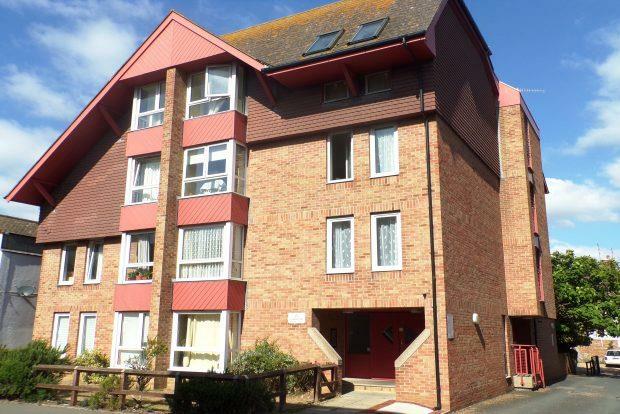 Studio Apartment To Rent in Eastbourne for £475 per Calendar Month. Set within a purpose built block this studio apartment is available to rent from mid May 2019. Windsor Court is located on Langney Road offering ease of access for routes in and out of Eastbourne town centre. Convenience is much the theme with local shops scattered along Seaside Road, bus routes on your doorstep and the seafront nearby. The property is neutrally decorated to compliment the light tone carpet. Inside the studio size accommodates a choice amount of furniture and comes equipped with phone and TV sockets to suit your needs. The kitchen and main room are partially separated by a breakfast bar worktop. There is kitchen units and an under counter fridge. The bathroom is all white, feeling modern and clean. There is a three piece suite, with a shower attachment to the bath. Further benefits include laundry room, entry phone system and double glazed windows. Call today to avoid missing out!